Posted on November 26, 2018 November 28, 2018 Written by jordanweb Comments Off on Jordan talks DWTS: Juniors with HollywoodLife. 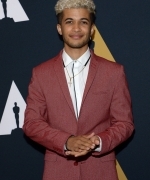 Dancing With the Stars season 25 champion Jordan Fisher has a different role in the ballroom on DWTS: Juniors. He’s the host alongside season 25 alum Frankie Muniz. The series currently airs Sundays at 8 p.m. on ABC. “I feel very at home at Dancing With the Stars,” Jordan told HollywoodLife. “I’ve been a part of the family for a year now.” Being a host of DWTS: Juniors was the perfect fit for Jordan. Continue reading Jordan talks DWTS: Juniors with HollywoodLife. 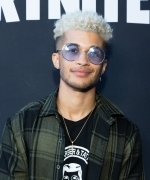 Posted on October 30, 2018 October 31, 2018 Written by jordanweb Comments Off on Jordan Fisher Cast in FOX’s Rent LIVE! Fox has announced the cast for its upcoming “Rent” live musical. Recording artist Tinashe has been cast as Mimi Marquez, a dancer who struggles with addiction and catches the eye of musician and recovering addict Roger. Roger will be played by Brennin Hunt (“Nashville”). 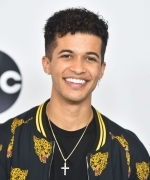 Singer/songwriter Jordan Fisher (“Hamilton” and the 2017 winner of “Dancing with the Stars”) will play Mark, Roger’s filmmaker roommate and best friend, who serves as the show’s narrator. Vanessa Hudgens (“Grease: Live”) will play Maureen Johnson, a performance artist and Mark’s ex-girlfriend who is on-again-off-again dating Joanne. Kiersey Clemons (“Hearts Beat Loud”) is set to play Joanne Jefferson, an Ivy League-educated laywer. 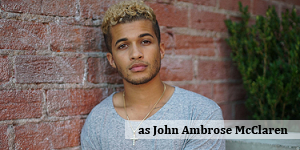 R&B and pop star Mario, who also currently stars on Fox’s “Empire,” will play Benjamin Coffin III, Mark and Roger’s former roommate-turned-landlord and Mimi’s ex who has married wealthy and now wants to gentrify the building in which he once lived. Additionally, Keala Settle (“The Greatest Showman”) will perform the iconic solo from “Seasons of Love” and join the ensemble in the live musical. 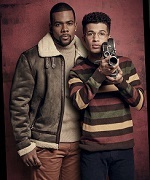 Fox’s version of “Rent” will be produced by 20th Century Fox Television. Marc Platt, Adam Siegel, Julie Larson, Allan Larson and Revolution Studios’ Vince Totino, Scott Hemming and Marla Levinewill serve as executive producers. 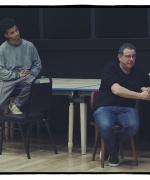 Michael Greif, who directed the original New York Theatre Workshop and Broadway versions of “Rent” will oversee the stage direction of the live musical, while Alex Rudzinksi will serve as the live television director. 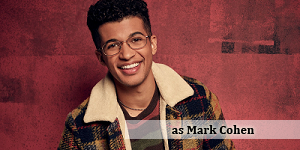 In addition to Greif, creative team members from the original Broadway production of “Rent” returning for the television adaptation include casting director Bernie Telsey and costume designer Angela Wendt. Kristoffer Diaz will write the adaptation for television; Al Gurdon will act as lighting director; Stephen Oremus will act as music director and producer; Jason Sherwood will act as set designer and Sonya Tayeh is the choreographer. Larson’s version of “Rent” was inspired in great part by Giacomo Puccini’s opera “La Boheme.” He first began workshopping the production in New York in 1993, and it opened on Broadway in April 1996. Larson never got to see the success of the play, as he passed away on Jan. 25, 1996. 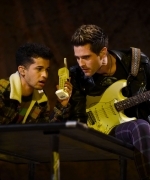 The original Broadway run ended in 2008, with the final performance filmed and released in theaters and later on DVD as “Rent: Filmed Live on Broadway.” The play also spurned touring production, a 2005 big screen adaptation directed by Chris Columbus, and a reimagined version that played Off-Broadway from 2011-12. “Rent Live” will be broadcast from Fox Studios in Los Angeles live on Sunday, January 27, 2019. 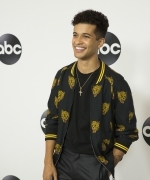 Jordan recently sat down with Popculture.com for an exclusive interview to discuss hosting Dancing With The Stars: Juniors, and the bond he’s grown with the contestants. Tomorrow be sure to tune into Freeform’s ’31 Nights of Halloween’ event to watch the Hocus Pocus 25th Anniversary Halloween Bash tomorrow night (October 20th). We’re personally really excited about this, you get to see almost all of the cast today. 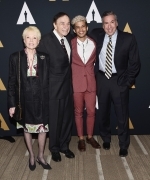 We’ve added photos from the celebration which was held at Hollywood Forever Cemetery on the 2nd of this month to the photo gallery. Enjoy! This week Jordan attended ABC’s Television Critics Association Press Tour along with fellow Dancing With The Stars co-star & Dancing With The Stars: Junior co-host Frankie Muniz. Those photos can now be found in our photo gallery. ABC has announced their new spin off series with Jordan being a co-host. Not much to go on, but we’re excited to see Jordan continuing to be apart of the ABC/DWTS family! Hosted by “Dancing with the Stars” Season 25’s Mirrorball trophy winner, Jordan Fisher, and finalist Frankie Muniz, “Dancing with the Stars: Juniors” is a fresh take on an established favorite in which 12 celebrity kids will be partnered with professional junior ballroom dancers to perform choreographed routines, which will be judged by Emmy® Award-winning choreographer Mandy Moore, professional dancer Val Chmerkovskiy and “Dancing with the Stars: Athletes” champion, Adam Rippon. 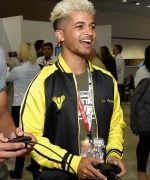 I’ve added some great photos from the latest events that Jordan has attended to our gallery. Please enjoy them. For the honor of Grayskull! DreamWorks Animation Television has revealed the cast of the upcoming Netflix original series DreamWorks She-Ra and the Princesses of Power, set to be released globally in 2018. The trailblazing property originally debuted in 1985 to satisfy overwhelming demand for a female-lead fantasy series. With Stevenson’s unique voice at the helm, fans are in store for an epic and timely adventure that celebrates friendship and empowerment, led by a warrior princess tailor-made for today.